Year-round outdoor pursuits across the Pacific Northwest. Android users rejoice, our smart watch for the outdoors is here. After a week spent trading around the Casio Pro Trek WSD-F20 Smart Watch among Outdoor Project staff and Contributors, I can say that if you are an Android user who loves having a smart watch in the outdoors, this is the one for you. 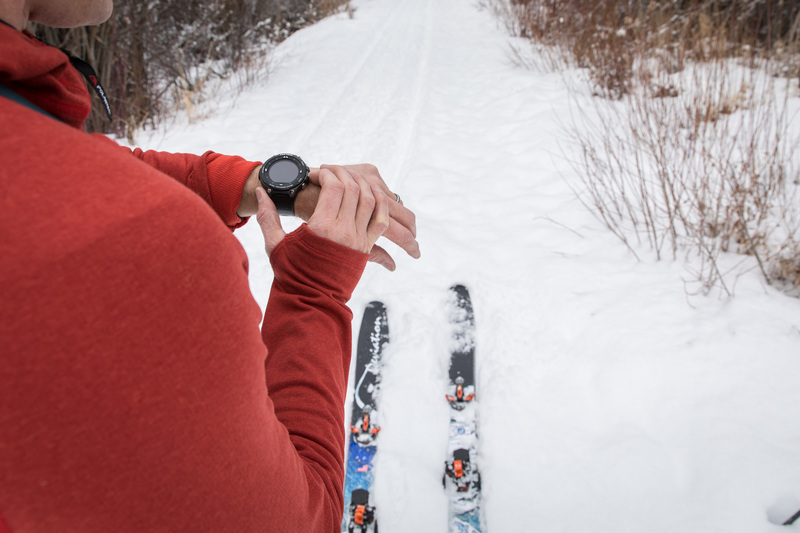 The watch syncs through Bluetooth quickly and effortlessly with the Android Wear 2.0 App and comes with connectivity to Casio's Moments Setter+ App as well, with easy-to-use functions for outdoor pursuits such as hiking, running, skiing, and even fishing. However, the recording functionality within the watch's 4GB internal memory allows you to save your data on the watch or have another synced app, such as Moment Setter+ or your Google Drive, installed and properly synced up to save your info off of the watch. The Pro Trek Smart is durable and waterproof, but doesn't feel at all clunky while wearing it. The band fits comfortably and can even be worn over a base layer, which is great for cold days in the backcountry. And the backcountry is where this watch excels. The compass, altimeter and barometer are all incredibly accurate. The GPS tracking functions allowed me to accurately keep track of pace and distance, both things I like to pay attention to if I'm trail running, hiking or backcountry skiing. I like to keep my phone off or silenced when I'm outside, and keeping track of the pace of my day is tough without my phone in hand. With the Casio Pro Trek Smart, I'm able to keep my phone in my pack all day and catch up on my progress with quick glance at the watch. The fact that I get non-disruptive notifications on who has texted, emailed or called me since last glance even means I don't miss out on critical communications as long as I'm within cell service in the backcountry. This is especially useful when I'm at a ski resort, where I am always fearful of dropping my cell phone when checking it on the ski lift. The biggest limitation for any Android users is inevitably the watch's battery life. Within a full day of using the watch's Bluetooth and GPS connections, the battery is sure to fully drain - but can last up to two days depending on GPS settings. Luckily the watch comes with a small and portable USB charger, but if you plan to make full use of the watch on a multi-day trip, I would recommend bringing a small portable charger along to recharge the watch after each day. Admittedly, the interfaces come with a bit of a learning curve. It is easy to return to the home screen and after a few hours of use, you'll know where swiping up, down, left and right will get you. So take your time to familiarize yourself with the watch before heading out on a long trip. And make sure you have the right apps installed and synced with your Android Wear to not miss out on recording your day's activities. I'm looking forward to taking the watch out fly fishing in the coming months. In those mornings when I only have a few hours to fish before getting to work or heading out hiking, the fishing-specific tracker on the Moments Setter+ App will let me keep track of how long I have been out and how much more time I have to tie on a new fly and catch that trout I know is there waiting for it. And in the meantime, I'll be wearing my Casio Pro Trek Smart watch to keep track of my ski runs, trail runs and soggy winter hikes.